Yuko Okudaira, B.F.A. Fashion Design, is from Kumamoto City, Japan. 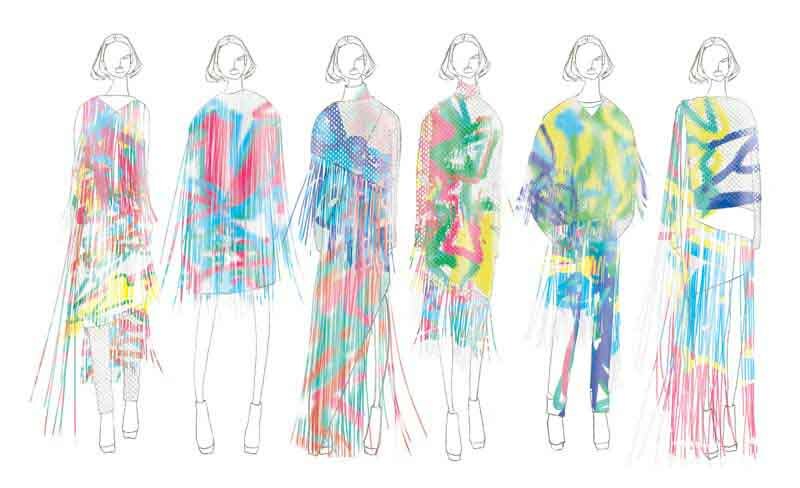 Yuko has been awarded an internship with Missoni in Milan, Italy, was offered an internship with BCBGMAXAZRIA, and was selected for the 2014 San Francisco Paris Sister City Scholarship Exchange in Paris for Studio Berçot. While attending Academy of Art University, she has interned at both MansoorScott and Micaela Greg, two collections by School of Fashion alumnae. She used solely white cotton twill, polyester mesh, and lycra knit jersey, which was spray-painted by her collaborator and graffiti artist Liang Huo, B.F.A. Animation and Visual Effects.